"I know Becki Cronin to be a successful entrepreneur. She is authentic and truly caring in her interactions with clients. I like to do business with people I know for sure I can trust and she is definitely one of those people." "Becki has a lot of knowledge and is very helpful. " "Very friendly and outgoing. Though I have not used her personally as a real estate professional, my ongoing interactions lead me to believe she is very competent and willing to go the extra mile for her clients. I would highly recommend her." 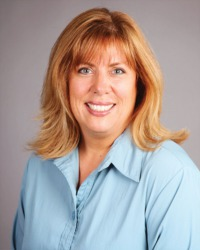 "Becki is a level-headed agent that understands excellent customer service. Her strong business background ensures that your home-buying or selling experience will be a smooth transaction." "I like Becki's low key, client-focused approach. I know Becki understands the importance of listening to her sellers, proper staging and proper assurance the home to be sold is clean and shows well. "